Pérez-Lescure Picarzo J. Prevention of sudden cardiac death in Pediatrics: the essential role of Primary Care pediatricians. Rev Pediatr Aten Primaria. 2015;17:77-86. Heras Sánchez E, Pérez-Lescure Picarzo J. Clinical cases in Cardiology (No. 13): differential diagnosis of wide QRS tachycardia: a case report. Rev Pediatr Aten Primaria. 2014;16:231-5. Morán Roldán L, Pérez-Lescure Picarzo J. Clinical cases in Cardiology (No. 12): neonatal arrhythmia. Rev Pediatr Aten Primaria. 2014;16:61-4. Pérez-Lescure Picarzo J. The child in sports: cardiologic evaluation in Primary Care. Rev Pediatr Aten Primaria. Supl. 2013;(22):127-32. Crespo Marcos D, Pérez-Lescure Picarzo J. Clinical cases in Cardiology (nº. 11): three months old infant showing shortness of breath when feeding. Rev Pediatr Aten Primaria. 2013;15:157-60. Fernández Soria MT, Pérez-Lescure Picarzo J. Clinical cases in Cardiology (n°. 10): 12 years old boy with heart murmur and abnormal electrocardiographic findings. Rev Pediatr Aten Primaria. 2012;14:243-7. Pérez-Lescure Picarzo J. Workshop of systematic reading of the pediatric electrocardiogram or “how to interpret an electrocardiogram and living to tell about it”. Rev Pediatr Aten Primaria. Supl. 2011;(20):225-33. Crespo Marcos D, Pérez-Lescure Picarzo J. Clinical cases in Cardiology (nº. 8): 14 years old adolescent with chest pain. Rev Pediatr Aten Primaria. 2011;13:411-7. 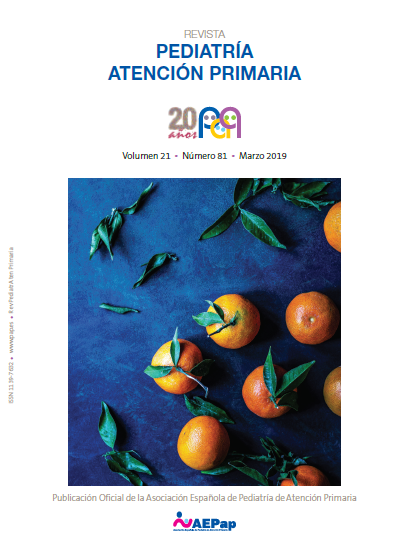 Pérez-Lescure Picarzo J, Crespo Marcos D. Clinical cases in Cardiology (nº 7): eleven years old girl with heart murmur and abnormal electrocardiography. Rev Pediatr Aten Primaria. 2011;13:99-106. Crespo Marcos D, Pérez-Lescure Picarzo J. Clinical cases in Cardiology (nº 6): a ten years old child with arrhythmic auscultation. Rev Pediatr Aten Primaria. 2010;12:437-41. Crespo Marcos D, Pérez-Lescure Picarzo J. Clinical cases in cardiology (n.º 5): a child with anomalous cardiac auscultation. Rev Pediatr Aten Primaria. 2010;12:89-94. Pérez-Lescure Picarzo J, Crespo Marcos D. Clinical cases in Cardiology (n.º 4): 14 year old boy with sudden onset palpitations. Rev Pediatr Aten Primaria. 2009;11:619-24. Crespo Marcos D, Pérez-Lescure Picarzo J. Clinical cases in Cardiology (nº 3): a 7 year old boy with a systolic murmur. Rev Pediatr Aten Primaria. 2009;11:277-81. Pérez-Lescure Picarzo J, Crespo Marcos D. Clinical cases in Cardiology (n.º 2): a 12 years old girl with palpitations. Rev Pediatr Aten Primaria. 2008;10:649-52. Crespo Marcos D, Pérez-Lescure Picarzo J. Clinical cases in Cardiology (No. 1). Respiratory sinus arrhythmia. Rev Pediatr Aten Primaria. 2008;10:463-6. Pérez-Lescure Picarzo J. Quick guide to the systematic interpretation of paediatric ECG. Rev Pediatr Aten Primaria. 2006;8:319-26. Pérez-Lescure Picarzo J, Echávarri Olavarría F. Electrocardiogram in Primary Care Paediatrics (II). Changes related to age and basic arrhythmias. Rev Pediatr Aten Primaria. 2005;7:463-480. Pérez-Lescure Picarzo J, Echávarri Olavarría F. The electrocardiogram in Primary Care Pediatrics (I). General aspects, indications and systematic interpretation. Rev Pediatr Aten Primaria. 2005;7:277-302.